ONE MILLION GREEN Card forms and electronic application templates have been issued to insurance providers by the Motor Insurers’ Bureau of Ireland (MIBI) in preparation for a potential no-deal Brexit. The figure was revealed at a special briefing organised for members of the Oireachtas. In January, motorists were told they would require an insurance Green Card to drive in Northern Ireland and the UK in the event of Britain leaving the European Union without a deal. Brexit is meant to officially happen on 29 March but — having previously rejected the draft Withdrawal Agreement struck by the British government and the EU — the House of Commons tonight overwhelmingly backed a proposal that could allow Brexit to be delayed. The MIBI has advised motorists who plan on driving in Northern Ireland and the UK immediately after 29 March to begin applying for their Green Cards from next week, in case a no-deal scenario materialises. Those who plan on travelling after that period have been advised to contact their insurance company or broker one month in advance of their expected travel date. Currently, Irish-registered vehicles that travel within the EU are covered by the terms of the EU Motor Insurance Directive. However, a no-deal Brexit would see the UK withdraw from this directive, meaning Irish motorists will require a Green Card to travel there. Green Cards are documents which provide proof of insurance cover to law enforcement agencies in the relevant country. 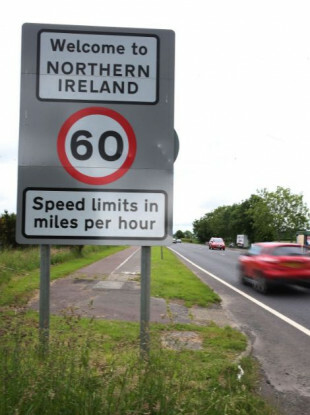 The MIBI has warned that motorists who drive in Northern Ireland or the UK without a Green Card, if no Brexit deal is agreed, “could possibly be subjected to the penalties for driving uninsured after that date”. If a deal is reached, the cards will not be necessary. If Britain seeks to extend Article 50 and delay Brexit, which looks increasingly likely, the need for the cards would also be delayed. Fitzgerald said that under a no-deal Brexit, Irish insurance documentation “may no longer be recognised by the law enforcement authorities in Northern Ireland or the rest of the UK”. He noted that penalties for driving in these countries without insurance include having your vehicle seized at the side of the road, fines and impoundment. “We don’t want to see that happen to motorists with valid insurance and we urge anyone who thinks this may impact them to apply for a Green Card in sufficient time,” he said. The potential need for Green Cards has been criticised by many politicians. Sinn Féin TD Gerry Adams today said there is “an absence of information” about if and how the Green Card system would be implemented, and what powers An Garda Síochána and the PSNI would have if they stopped a driver who didn’t have a Green Card. There is an urgent responsibility on the government to resolve this issue. To force drivers on this island to apply for and carry an International Motor Insurance Card to travel across the border would be a significant breach of the spirit and ethos of the Good Friday Agreement. “The government must urgently put the case to the European Commission to waive the green card requirement,” Adams said. Robert Troy, Fianna Fáil’s Spokesperson on Transport, noted that around 13,000 cross-border journeys are made by those driving heavy goods vehicles and light goods vehicles every day. Not only will this cause major hardship for businesses and companies but it will be a major hindrance to the people living along the border. “There are thousands of people who cross the border every day for work, school, college, medical appointments and to simply visit family or friends. It is imperative for these people that they can continue in their daily lives without impediments,” Troy said in a statement. Minister for Transport Shane Ross previously said it is not clear if motorists will be prosecuted for failing to carry Green Cards in the event of a no-deal Brexit. Earlier this month he told the Oireachtas Transport Committee: “If there is a no-deal Brexit, Irish-registered vehicles entering UK territory, including Northern Ireland, will be required to carry a Green Card, a document which proves that they have motor insurance. Email “One million Green Card forms sent to motor insurance providers in case there's a no-deal Brexit”. Feedback on “One million Green Card forms sent to motor insurance providers in case there's a no-deal Brexit”.